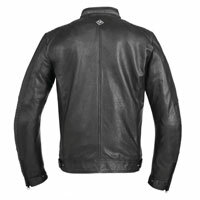 Shoulder and elbow protectors are woven into motorcycle leather jackets (which can be removed), the leather offers superior protection from abrasion than it does to normal fabric and has excellent durability. 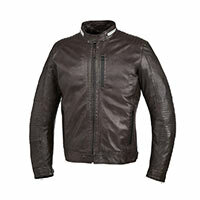 The jackets are preferred by experienced riders because of these characteristics. 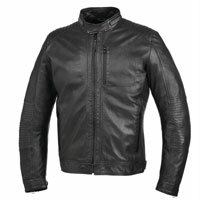 A disadvantage of leather is the fact that it does not offer the same thermal insulation of other fabrics and in most cases it is not waterproof. 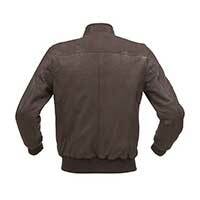 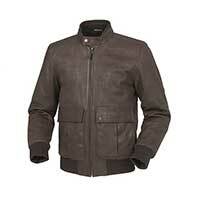 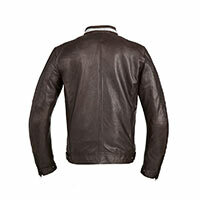 Many of these leather jackets can be zipped to trousers.